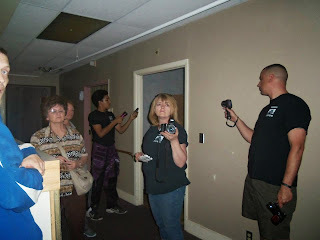 Our night at the Bell Nursing Home was a huge success, and an outstanding paranormal adventure. There were many personal experiences, and some of these were shared by several people at once. We have loads of evidence to go over and will share anything interesting that we get. We have already found some interesting pics. In this pic, Brian is sitting on a bed where a resident of this old nursing home seemed to be communicating with us. We had a great flashlight session in this room, as well as hearing noises coming from behind Brian. His hands are up to show that he was not the one making the noises. This room was where we set up all our equipment and would come back to rest and get new batteries, etc. This was the most privacy you got in the rooms. Most rooms had four beds in them. One of the sad, even scary stories we heard included the tale of how any residents that "escaped" and wandered the town were brought back and tied in their wheel chairs or beds....and left there, sometimes for days. The local EMT's were called on several occasions to try to resuscitate the poor souls left tied too long. During the flashlight sessions, we were able to determine that the residents were beaten and many were scared. 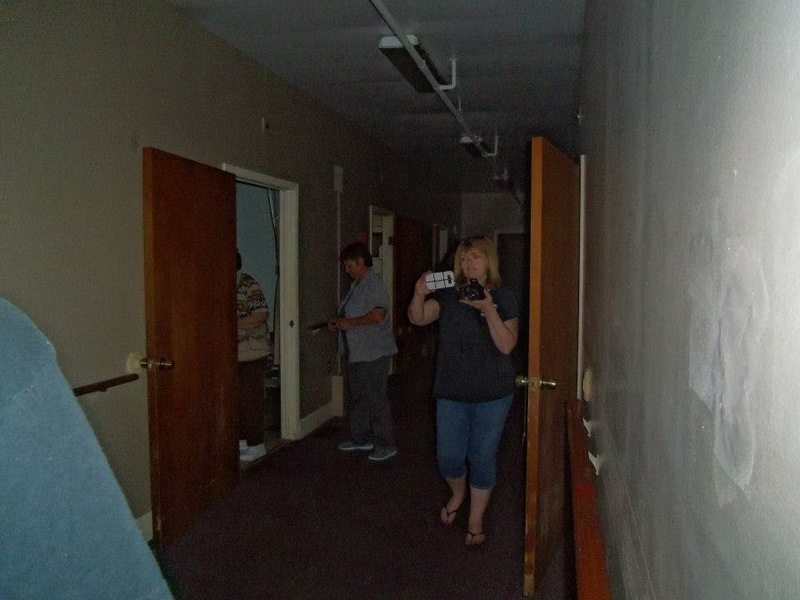 Down this hallway we heard loud footsteps and also loud thumps and bangs. We had a great group for the evening and it was a lot of fun. 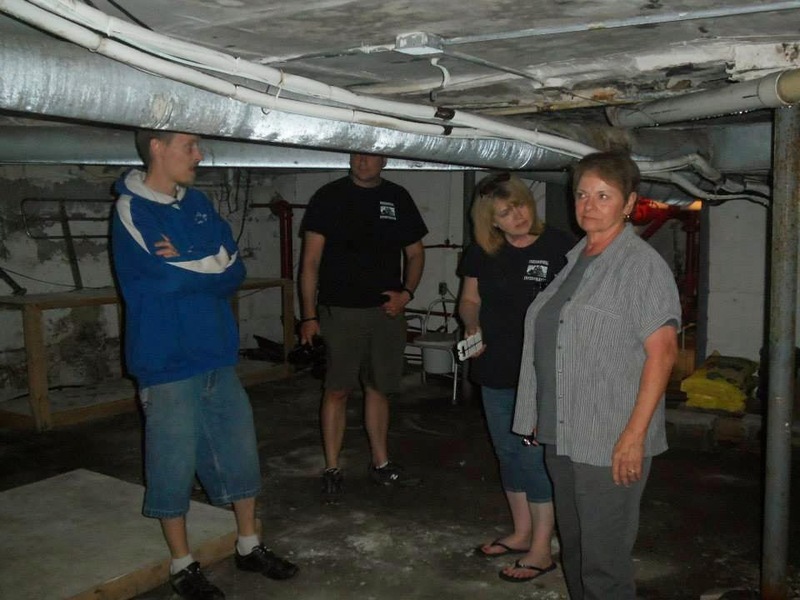 We were delighted to hear how the owners found a secret room in the basement that used to be an embalming room. We did not have access to it, but she showed us where it was. Here you see Brian using the new FLIR. Not sure yet what we got with it, but it was awesome getting to use it. Others stories for the night included lights turning off and on by themselves and seeing shadow persons cross the hall back and forth between rooms. The lights turning on and off happened four times and the camera system that the Bell has installed caught it four different times. We loved our adventure here and look forward to going back again. We highly recommend it!